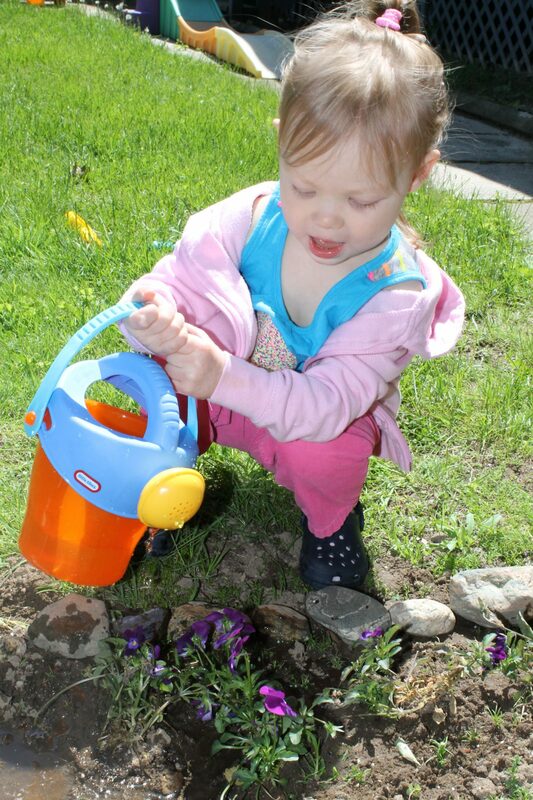 I have been looking forward to gardening with my daughter this year. She started helping me last year & loved helping me weed, plant new flowers & water them. This year, we are in a new house. I have been so excited to get started on our gardens in our new home & now my little one will have a garden of her very own. Like many little girls these days, my daughter loves fairies, so of course her garden had to be a fairy garden. We started some seeds indoors & planted a few flowers outside as well. 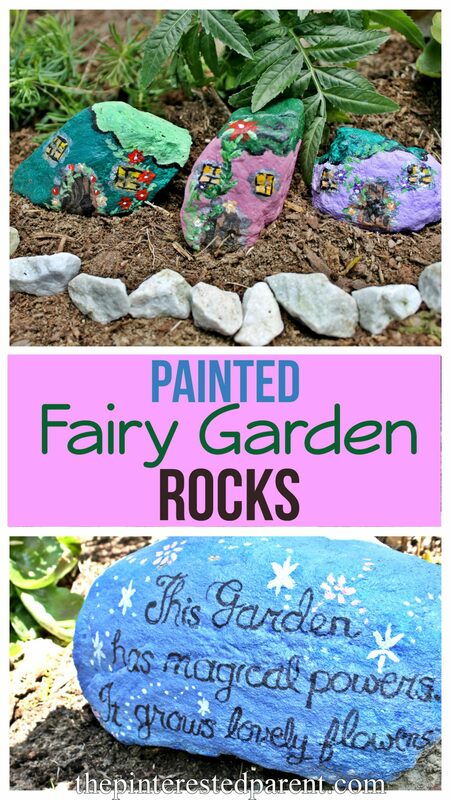 We wanted to add a little magic to our fairy garden, so we collected rocks from our backyard to give it a few special touches. 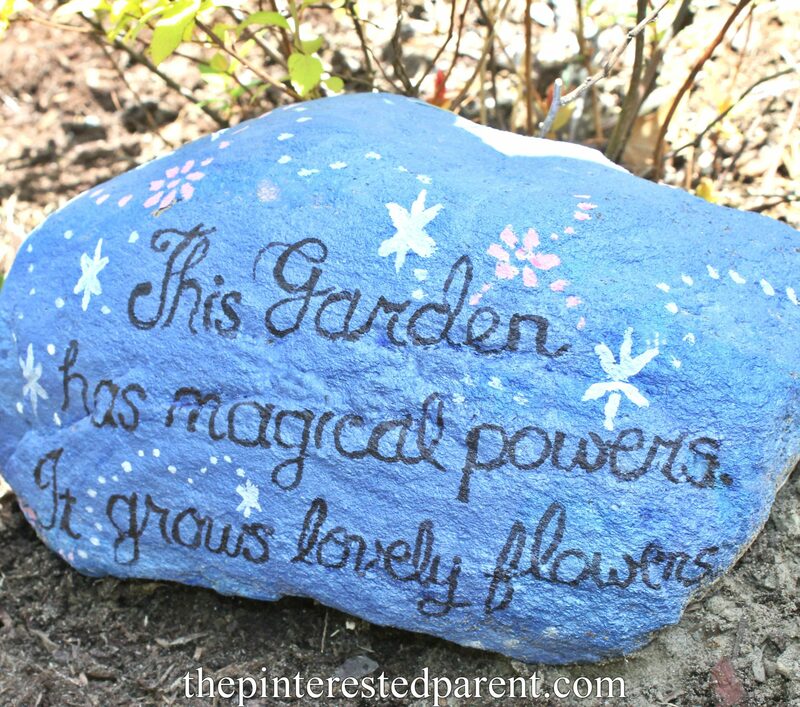 I found one large one to put our garden poem on & we picked up medium-sized rocks in random shapes for our fairy houses. 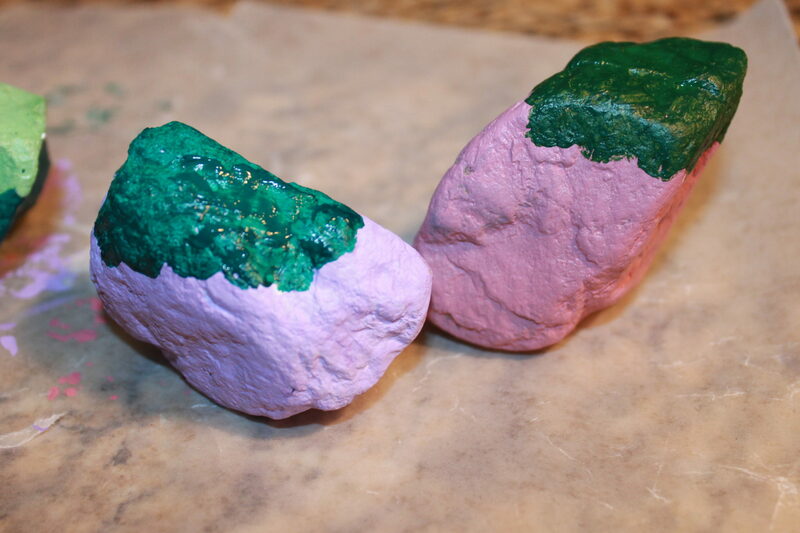 I painted each of the rocks in a different color acrylic paint & let them dry. 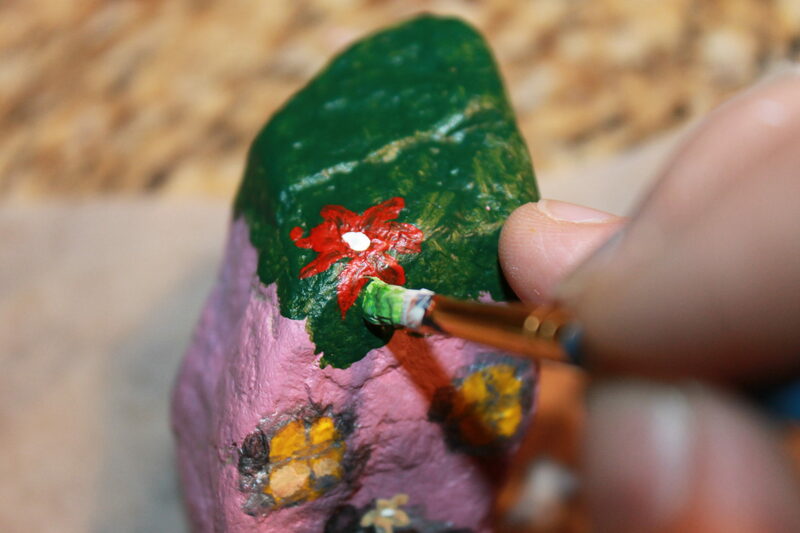 For the fairy houses, I painted the tops of each of the rocks in different shades of green. I painted a rounded door on each rock in brown & black. 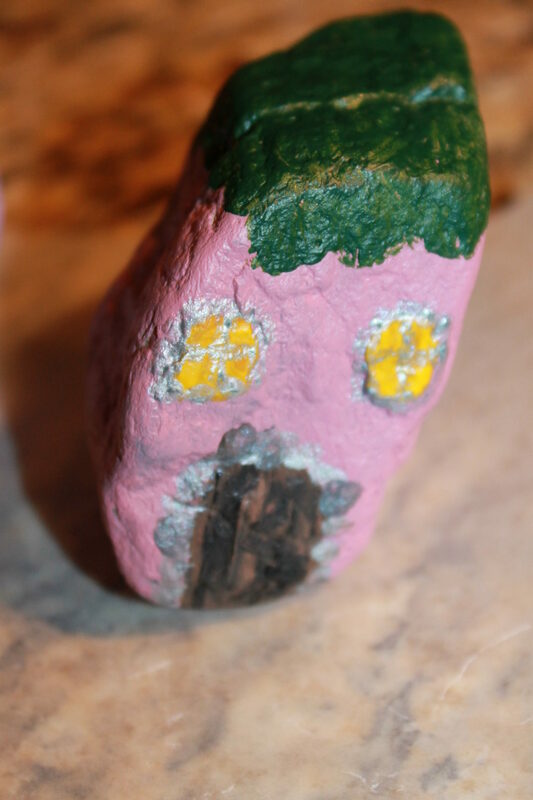 I painted two yellow squares on each rock for windows & then painted silver circles & ovals around the windows & doors to form stones. I painted simple flowers around the houses & connected them with green lines for vines. 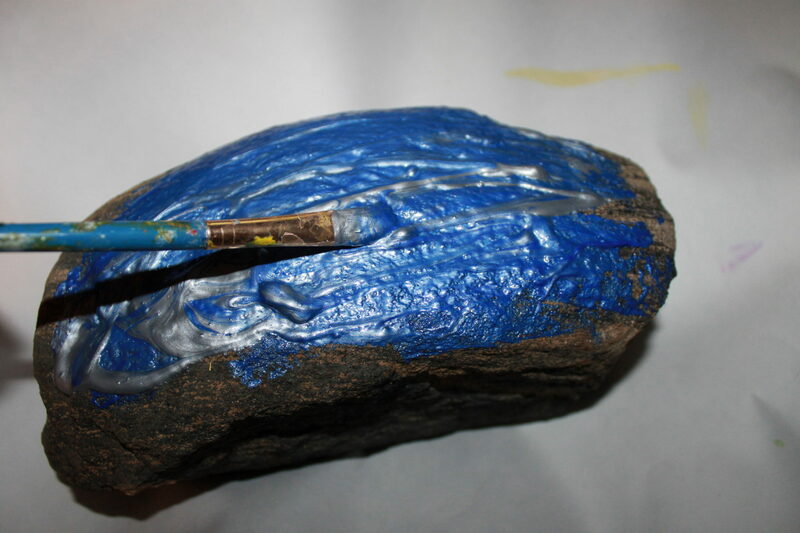 paint sealer would probably work better. 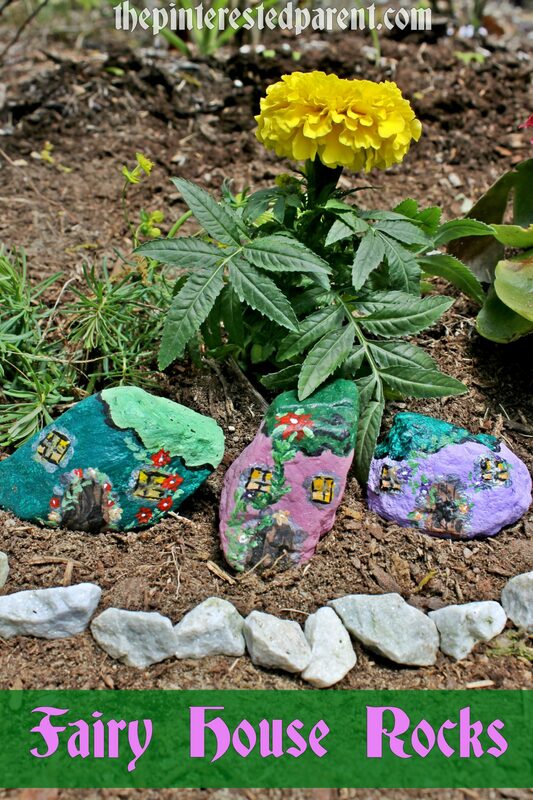 We took our rock houses outdoors and placed them around my daughter’s favorite new flower. 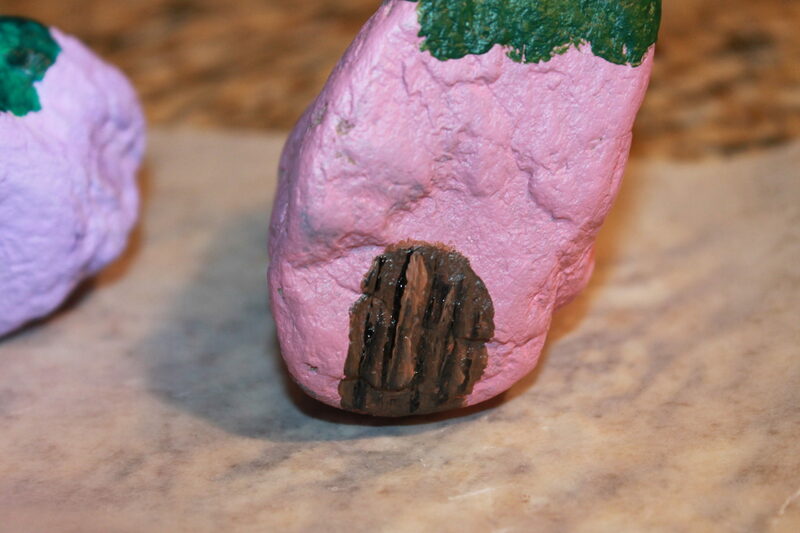 We lined our fairy village with some smaller pebbles that we found in our yard. Our quote rock was much simpler. We used a Sharpie to write our poem on the painted rock & then painted some dots & petals around the words to make it more magical. Our garden is still a work in progress, but the rocks added a lovely touch. My little gardener loved the little fairy houses. We are excited to add more magic to our garden.